SKU: SI121. Category: Other Stuff, Pins. 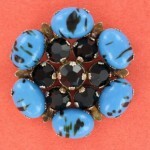 Very unusual pin. 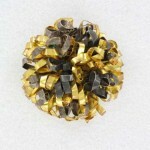 I bought a few of them (each was a different design) about 15 years ago in a small boutique. I was told that those pins are all one of a kind design. The design is very abstract, and very detailed. 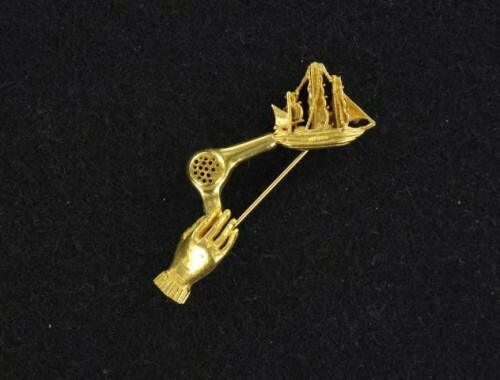 The pin depicts a hand holding a hair dryer, which in turn is pointing to a beautiful (very detailed) ship. There some marks on it: “CHIM” and “SILVER”. They appear few times – on the back and on the front. Excellent condition.